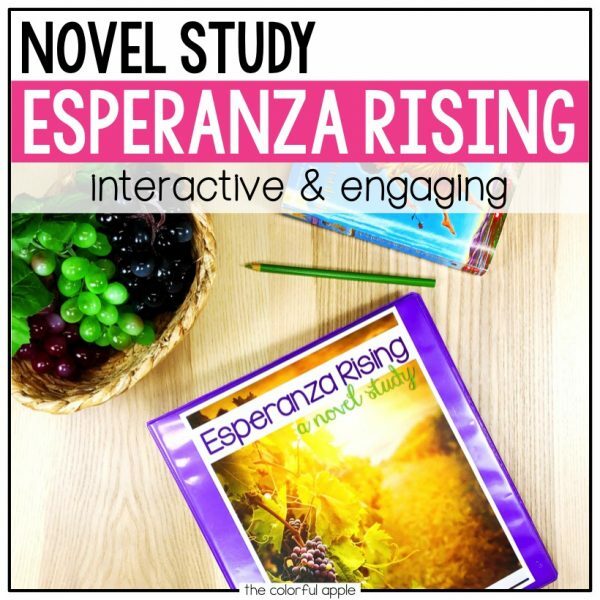 Esperanza Rising is an inspiring story of struggle, hardship and hope. Students will dig deep to analyze the life lessons Esperanza learns as she strives to rise above her difficult life circumstances through challenging lessons and activities provided in this novel study. This unit is jam-packed with everything you need to teach the novel, whether you’re doing it as a whole-class, a small group (i.e. reading groups or literature circles), or as an individual project. It includes many activities that serve as comprehension tools and valuable practice determining different story elements. 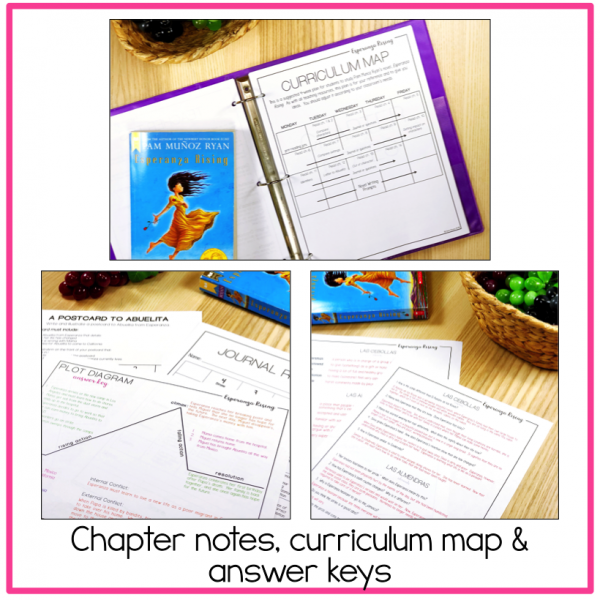 These rigorous, cross-curricular lessons and activities work in conjunction with the fictional text to teach students how comprehend complex literature and help them understand the significance of the story. 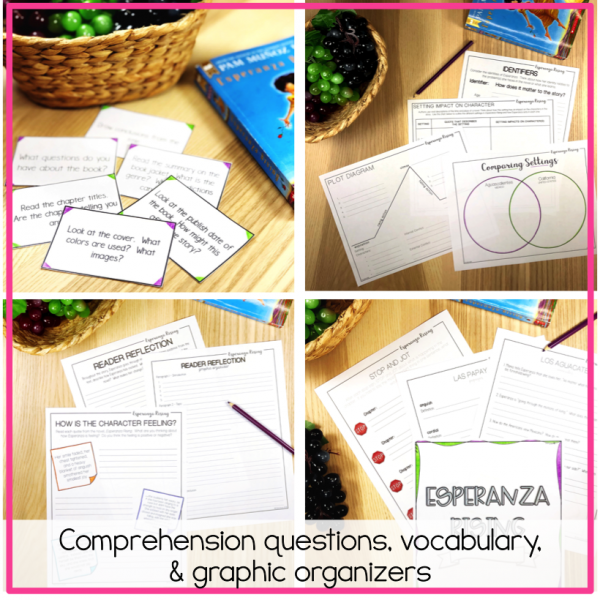 Comprehension Questions – multiple questions for every chapter to check student comprehension Answer key included! Vocabulary – five vocabulary words for each chapter Answer key included! Graphic Organizers – visual displays to help students keep track of their ideas. 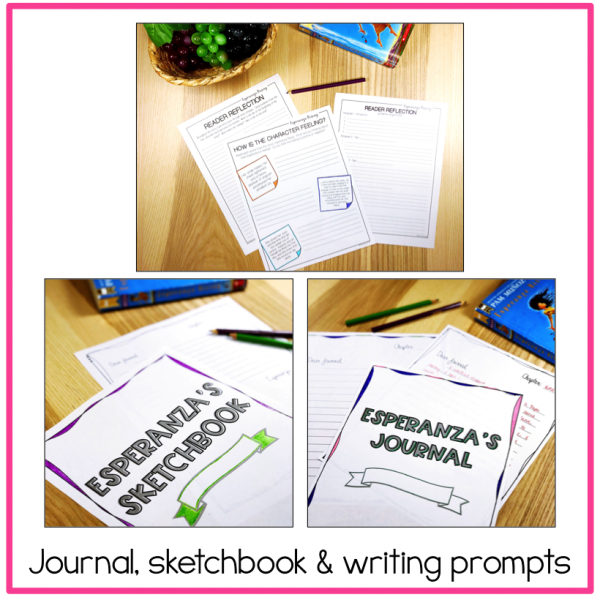 Novel Project – extra activities to bring this novel to life in your classroom! Interested in more novel studies? Find them here!